An outdoor fireplace can serve as a center-point for fun and relaxation in the yard. Whether installed in an outdoor kitchen or patio, these fireplaces bring warmth and dimension to an otherwise bland outdoor area. Outdoor fireplace kits are on the market which provide most of the materials and know-how you need to install one yourself. Read on to learn more about these kits. See-Through: See-through style fireplace kits create a fireplace which has multiple viewing ports, not just one on the front. These elegant fireplaces release a pleasant glow on all sides of the unit. Each of the “windows” has a metal guard which prevents hands and objects from entering the fireplace accidentally. Barbecue Style: In addition to burning charcoal or wood, barbecue style outdoor fireplaces have a grill which can be used to cook food. Family and friends can not only enjoy the warmth of the outdoor fireplace, but get to eat great barbecue at the same time. Front Screen: The basic style, front screen outdoor fireplace kits feature a single screen door on the front just like your indoor fireplace. 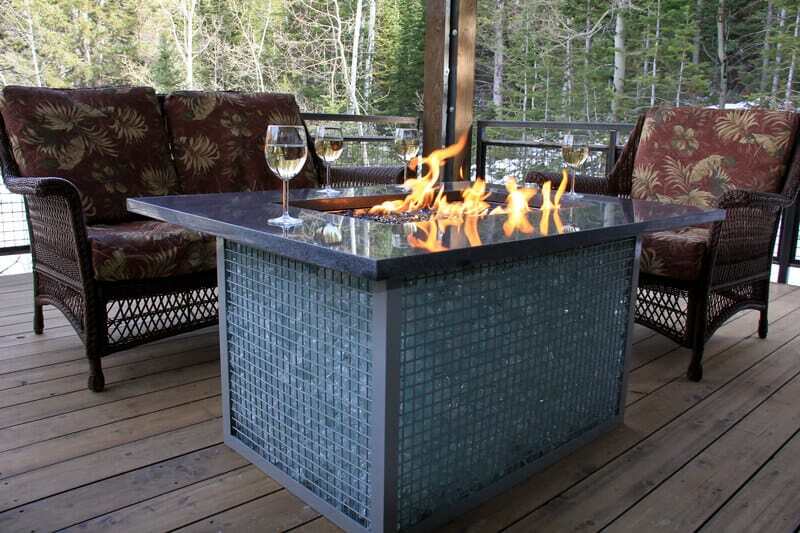 For the fastest possible assembly, look for outdoor fireplace kits which are assembled in modules. Modular style kits ship in ready-made pieces which simply snap together. Only minimal tools and hardware are needed. The best part is that you never have to handle messy mortar. Modular kits come with artificial brick panels which look just like the real thing and make it seem like the fireplace was built by hand. Using artificial bricks has the additional benefit of reducing shipping weight. However, you can find kits in which you can provide your own real stone if desired. Some companies who make these kits will allow the customer to select from more than one door style/trim. In many cases you can color of the metal frame as well as the handle design. Outdoor fireplace kits come with multiple burning options, with some able to burn wood, charcoal and gas. Gas burning outdoor fireplaces require more extensive setup being that they must be connected to a gas line (natural gas or propane). However, they are some of the sleekest outdoor fireplaces around, requiring no cleaning or refilling. Gas fireplaces can be paired with an artificial log kit which makes it appear as if you are burning real wood. Those skilled with hands and tools can attempt to build a fireplace with outdoor fireplace plans. This method allows you to choose every last detail of the piece but is also the most difficult to create.